In 2016, Bell Pottinger was exposed for producing fake news – including al Qaeda propaganda DVDs – in Iraq and working in the interests of the US military in a multi-billion dollar contract. But those revelations by the Bureau of Investigative Journalism, and the fallout, weren’t enough to give Victoria Geoghegan and her associates pause for thought about how their activities impact on real lives beyond their cushy London offices. In South Africa, Bell Pottinger has worked to help a corrupt clique and friends capture state assets and seize control of the country’s power mechanisms – for pure profit. It has undertaken nasty media tactics to douse the flames of criticism of President Jacob Zuma, the Gupta family and associates. Smear campaigns have played out in the social media, with attempts to shake up the reputations of the small army of independent journalists serving as the Fourth Estate. 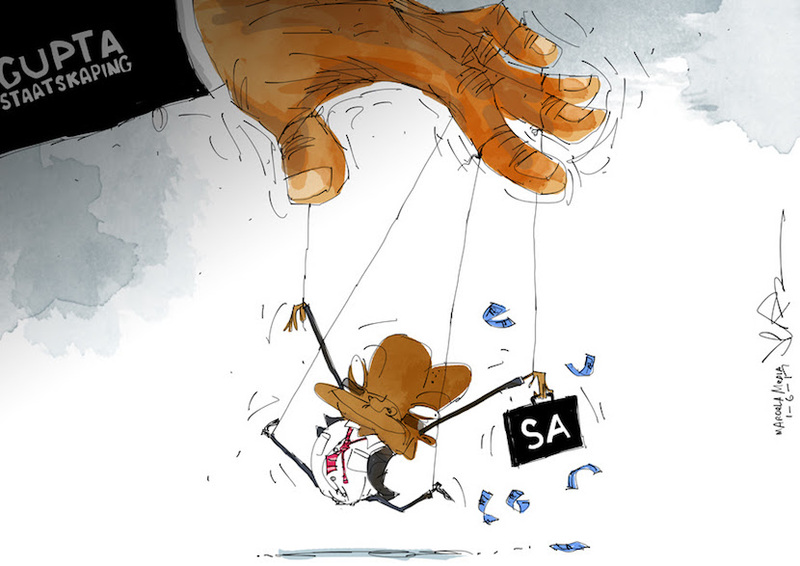 The executives and shareholders of Bell Pottinger are Teflon-coated, ignoring the outcry that they have been involved in state capture activities and are partly to blame for inciting political tension. 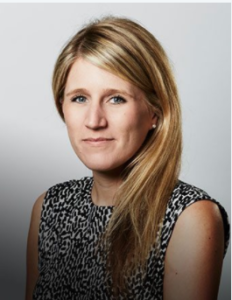 In fact, so delighted with Victoria Geoghegan’s efforts is Bell Pottinger that it promoted her as recently as December to managing director of the agency’s financial and corporate division. Making the announcement in PR Week that she would take up the role from January, Bell Pottinger said her ‘”close client relationships, professional handling of complex issues, and strong leadership skills” make her the right person’ for a leadership job at their firm. Bell Pottinger has been generously rewarded for their evil deeds in South Africa. 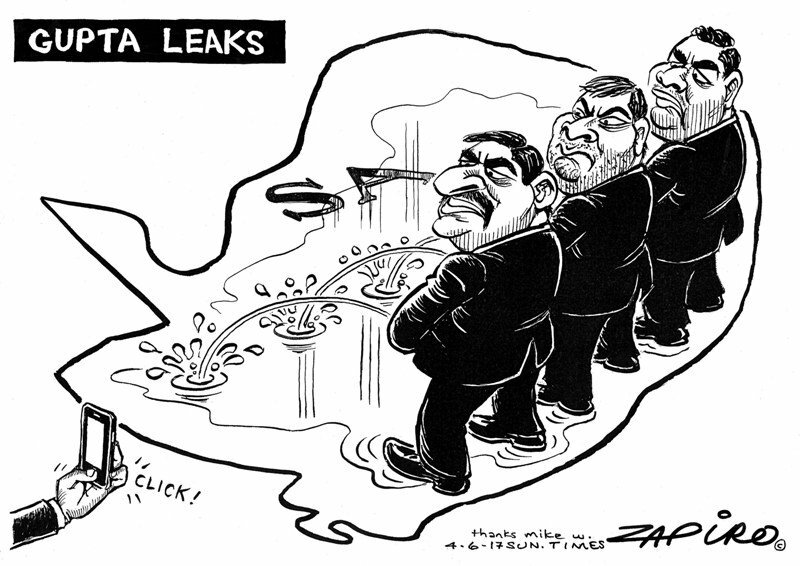 This has been confirmed as the #Guptaleaks spill into the public domain. Geoghegan and others at Bell Pottinger should be locked up, at the very least for playing an active role in corruption – as it is illegal for employees of London-listed plcs to engage in corrupt business practices. Bell Pottinger should be heavily fined, too, and put out of business. Victoria Geoghegan took instructions from Duduzane Zuma. This was to market a “narrative that grabs the attention of the grassroots population who must identify with it, connect with it and feel united by it”. In so doing, say amaBhungane and Scorpio, the firm directly undermined the ANC’s capacity to communicate its own policies and programmes to South Africans and hijacked the ruling party’s message, seemingly to benefit the image of the Gupta family. Victoria Geoghegan invoiced a company linked to the Gupta family for the meeting with Duduzane Zuma. The investigative team says the Bell Pottinger partner invoiced the Marketing Quotient, a Dubai-based company part-owned by Gupta family lieutenant, Salim Essa, a “project fee” of £100,000 (About R2.3-million according to exchange rates in January 2016) for a consultation with Duduzane Zuma. Radio, social media and slogans were identified as a way for Zupta to capture grassroots support. Global media strategy. Bell Pottinger planned to use media contacts in South Africa and in the international media to build a campaign based on repetition and emphasising economic emancipation. Playing the apartheid card is part of the plan. Victoria Geoghegan told Zuma that Bell Pottinger would “utilise compelling research, case studies and data which illustrate the apartheid that still exists, and the need for truly inclusive growth. Bell Pottinger will analyse the data (for example: power generation, ports) and create fact sheets and easily understood collateral for wider dissemination”. State capture is all the talk in the media. It basically means that the Guptas are running the show. More of Jerm’s magic available here. What: Devised a PR campaign to sow division in South Africa. After her – and Bell Pottinger’s – links with the Gupta family were repeatedly exposed, Investec dumped Bell Pottinger as did Johann Rupert’s Richemont. Her personal profile: According to LinkedIn, Victoria Geoghegan studied business subjects at the University of Manchester. Her friends and endorsers include other communications specialists as well as senior executives at companies including Investec, Investis, Etihad Airways, Amazon UK and FTI Consulting. The other Bell Pottinger people working on the #Zupta account include: “Jonathan Lehrle, Nick Lambert, Darren Murphy (Tony Blair’s political adviser), and supported by a much wider team. Lord Bell will be available for strategic counsel as and when required. We will also have in reserve other divisions (digital, crisis communications) should we need a wider skillset,” Victoria Geoghegan wrote in an email to Duduzane Zuma. Victoria Geoghegan’s clients have included: Net-a-Porter, Liberty Media, Unite Students, Workspace, CYBG, Lookers and Africa Finance Corporation.